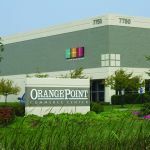 Constructed in 2003, this retail, office and flex suite development offers over 450,000 square feet of space and is located on the north end of Columbus in Lewis Center, Ohio. This development offers facilities with docks or drive-in doors. The warehouse units feature a 16-foot ceiling clearance height. One Lakeview Plaza is a flex/office complex development in Worthington, Ohio. The property features multiple single-story buildings with modern glass fronts and drive in doors. Constructed in 1986, the 44-unit property totals more than 102,000 square feet. 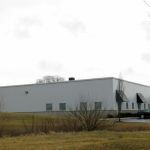 This property features large industrial warehouse and flex suites with multiple combinations of dock and drive-in doors. The two single-story buildings, constructed in 1997, have a total of 140,160 square feet. Located just east of US 23, at Green Meadows Drive North and East Orange Road, Orange Point Commerce Center is part of Lewis Center, Ohio, an unincorporated community in Delaware County. 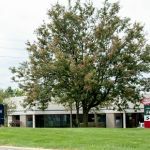 This property in Gahanna, Ohio, includes office, retail and flex suites with drive-in doors. The single-story complex totals 163,880 square feet with 43 units. Constructed in 1999, the grey stucco buildings have arched entrances and attractive architectural detailing, situated in a well landscaped and professionally managed development. 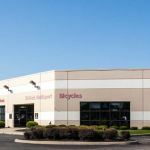 This professionally managed property in Worthington, Ohio features office, retail and flex suites with drive-in doors. The complex was constructed in 1997 and offers 240,050 square feet of total space. It has 46 units with a parking ratio of 4.0/1000 rsf. 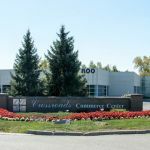 This property features small professional office suites within Crossroads Commerce Center in Gahanna, Ohio. The single-story modern concrete and glass structure has 21 units and was built in 2001. With a total of 34,400 square feet, there is a parking ratio of 4.0/1000 rsf. 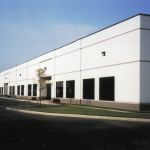 Part of Crossroads Commerce Center, this property is a single –story building with 24 units in Gahanna, Ohio. 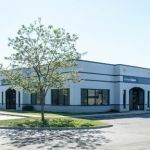 The building includes both small professional office suites and large flex suites with dock and drive-in door configurations. Built in 2001, the units are a combined 121,142 square feet, with a parking ratio of 4.0/ 1000 rsf. Part of Crossroads Commerce Center, this 20,000 square foot flex/industrial property is a multi-tenant, single story building with a block and metal siding exterior on 2.81 acres. Built in 2008, the property has a standing seam metal roof, parking ratio of 2.3/1,000 and currently benefits from a partial tax abatement. updates and special promotions delivered directly to your inbox. © 2019 DRK and Company. All Rights Reserved.